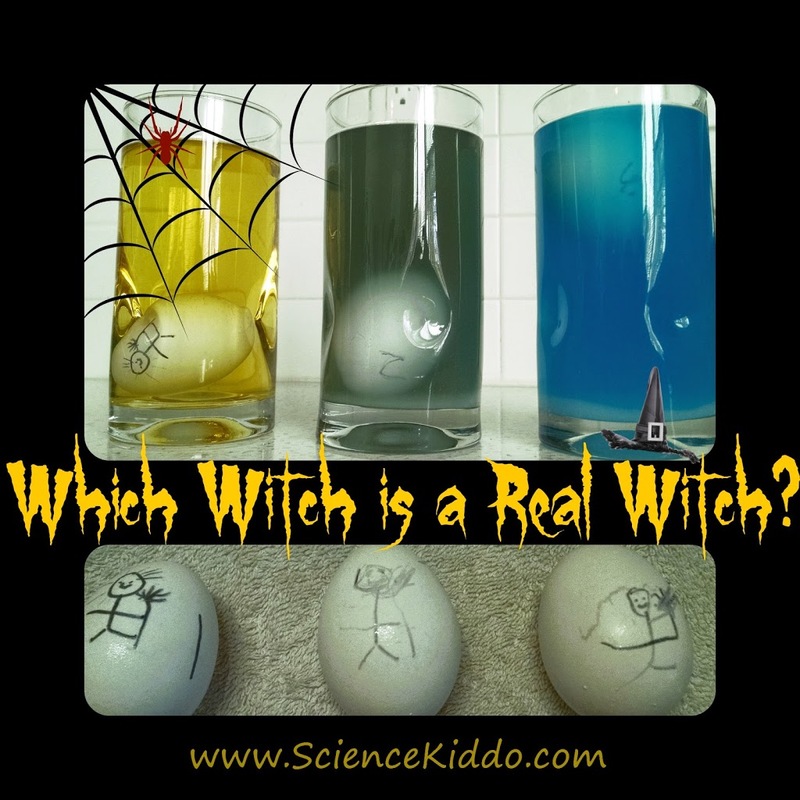 Which Witch is a Real Witch? Our experiment today involves three suspected witches. 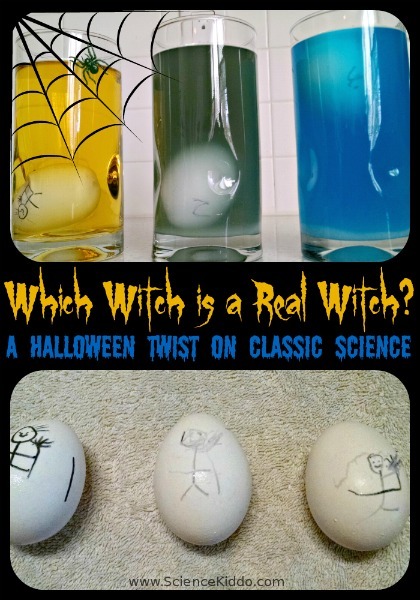 We are going to scientifically determine how many of these suspected witches are actual, real life witches through the phenomenon of the floating egg. According to the logic of the Middle Ages, a witch would float on top of a body of water while an innocent person would sink like a stone. We are using this same logic in our experiment today. 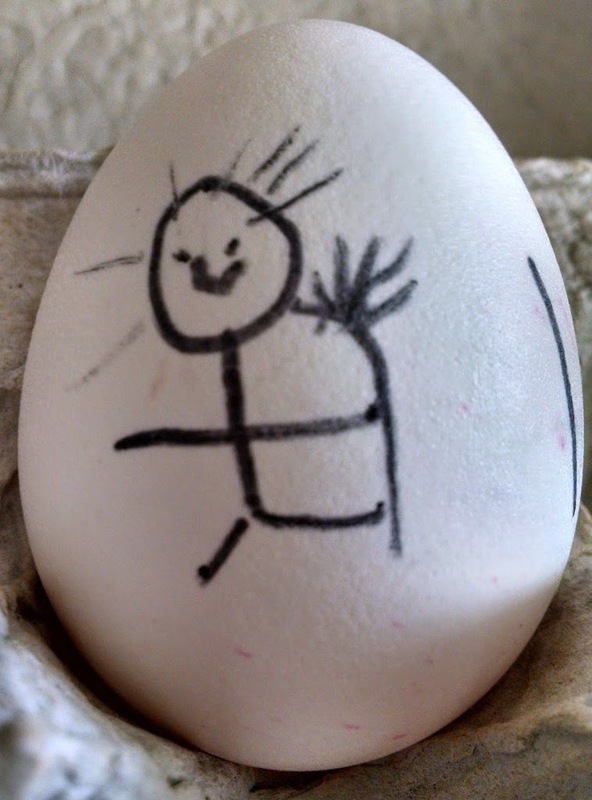 We obtained three fresh eggs and drew witches on each of them with a permanent marker. 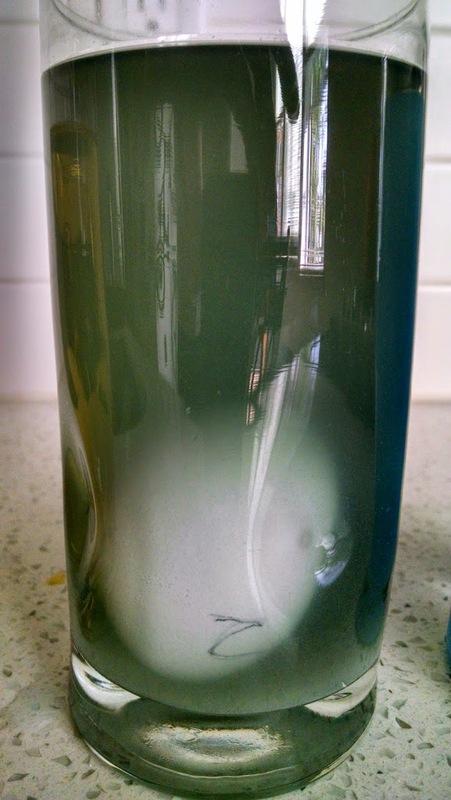 Then we filled up three cups of water (about 10 ounces each) and submerged each egg. We added a couple of drops of food coloring to each cup to keep them straight. Well, I forgot to mention that we added salt to two of the cups. Minor detail, right? Cup #1 (yellow) contained no salt and the egg sank like a stone = Innocent person! Cup # 2 (black) contained 2 Tbsp of salt and the egg still sank = Innocent person! 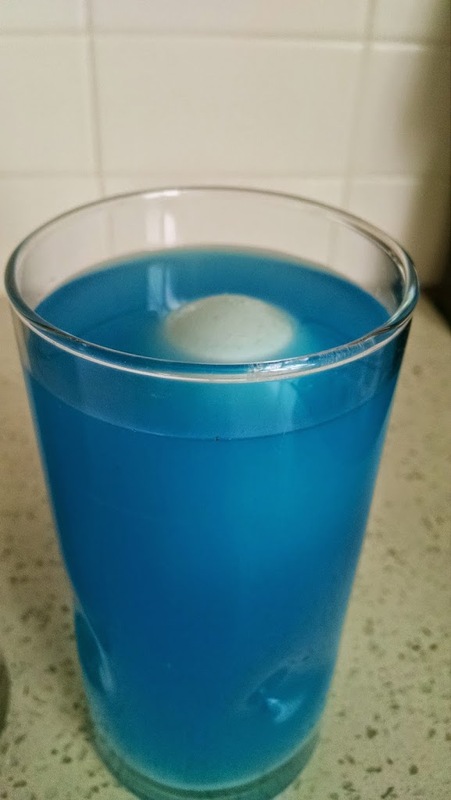 Cup #3 (blue) contained 4 Tbsp of salt and the egg *DRUM ROLL, PLEASE* floated = WITCH! Even when we tried to make Egg #3 sink, it kept bouncing back up to the top to float. So why did this happen? 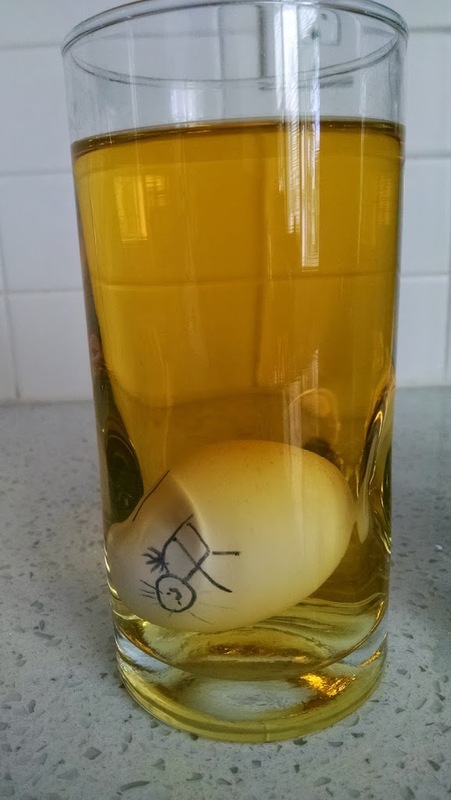 At first my son thought it must be something to do with the egg. He hypothesized that the eggs that sunk were heavier than the egg that floated. We tested his hypothesis by trading Egg #2 and Egg #3. He was a little baffled by the fact that the egg in Cup #2 still sank and the egg in Cup #3 still floated. Hm, looks like it wasn’t because of the egg afterall. Then we talked about the difference in the water and voila! The light came on! It was because of the SALT! When salt is added to water it makes the water more dense. You can think of it like the water gets heavier when the salt dissolves in it. 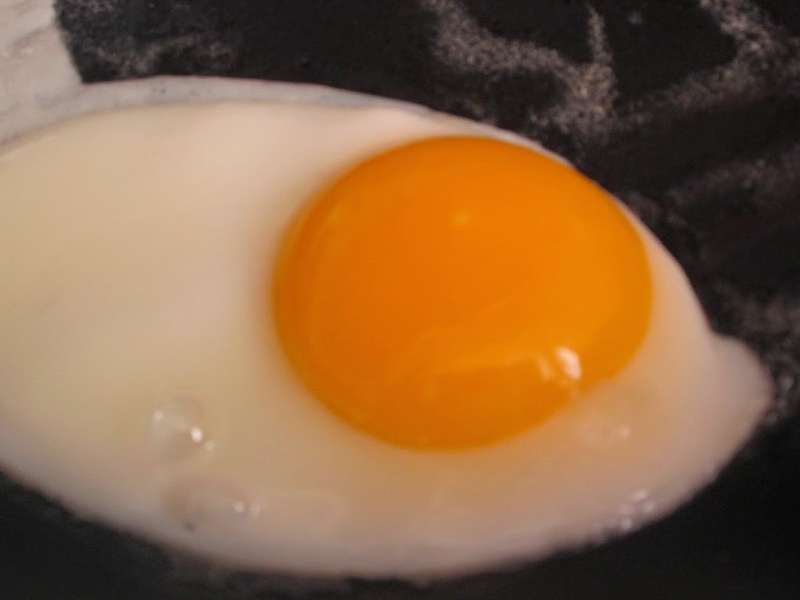 If you add enough salt you can actually make the water more dense than an egg, which makes the egg float. Does this mean that ocean water is more dense than fresh water? Yes, yes it does. This is why it is easier for a person to float in the ocean than in a fresh water lake! 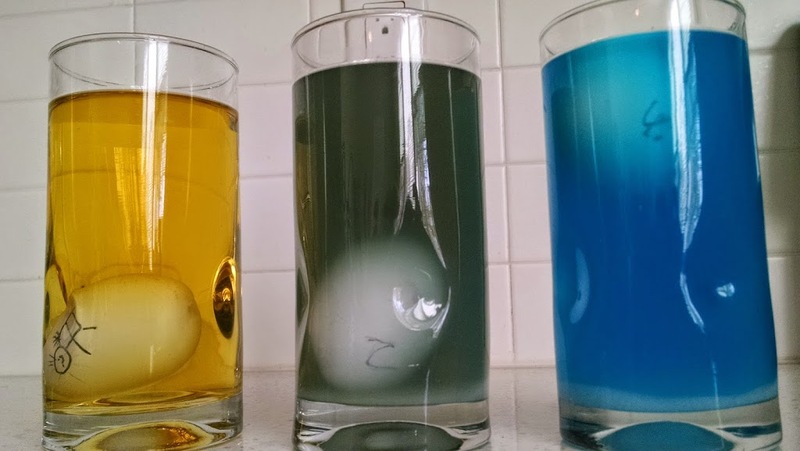 Learn more about density with common kitchen materials by creating Color Bombs or your very own Lava Lamp! 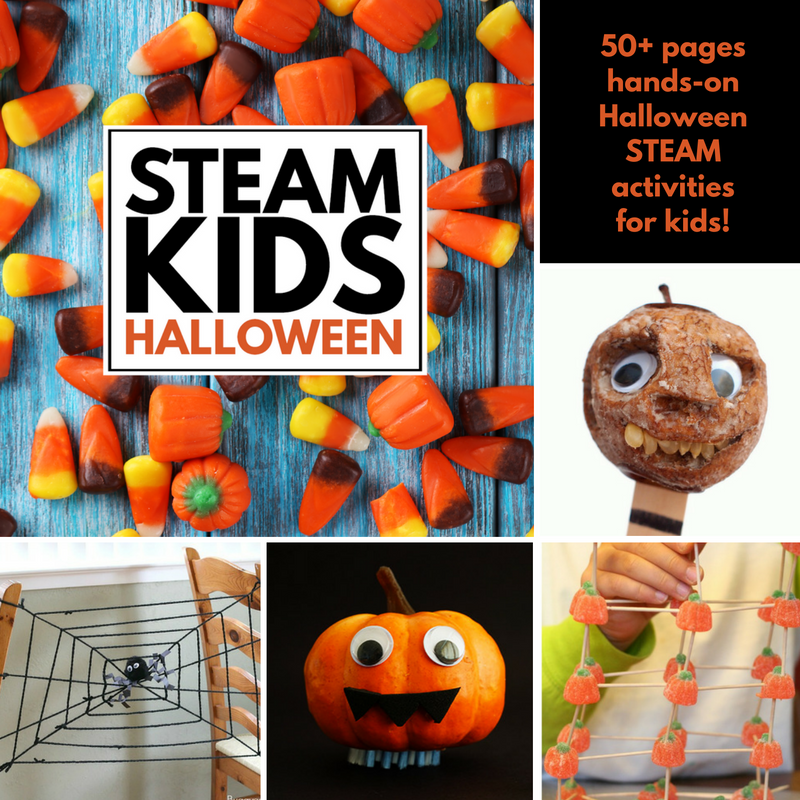 What a great idea for the Halloween season. Thank you for sharing! 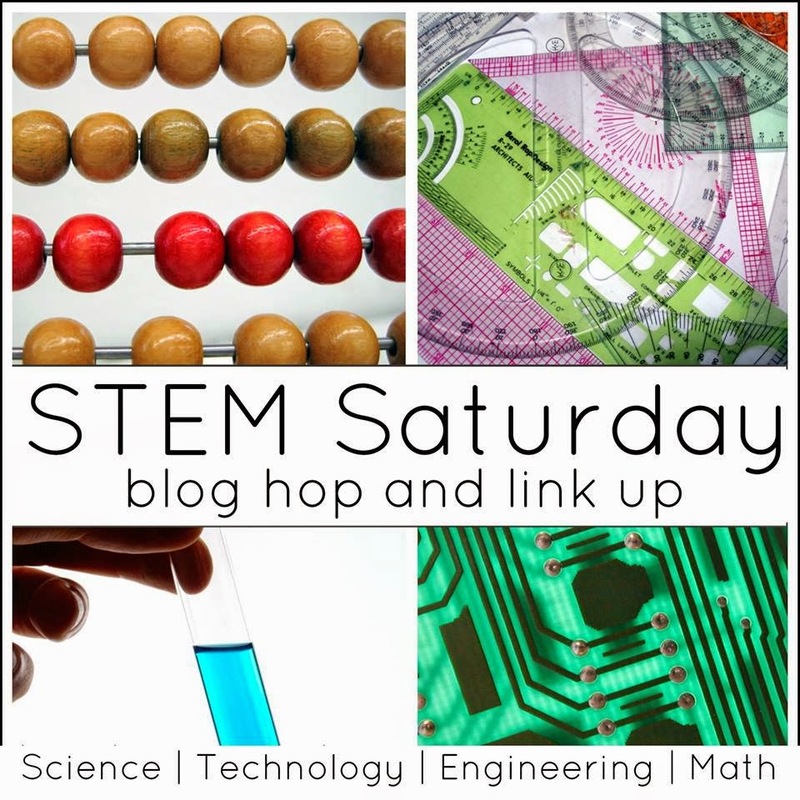 This is a fantastic idea and I love that you’ve combined science, history and religion in one activity. Thank you so sharing this post on The Sunday Showcase! This is a very clever experiment! My kids will love this! Glad you enjoyed this activity:) It’s one of the easiest out there! Thanks for stopping by. This is such a neat idea:) Thanks for sharing this on Mommy Needs a Timeout Thursday Linkup!